Many of us never stop to consider how many small tasks we do on a daily basis. For some people, the simple act of stepping over the threshold, entering the restroom, and pulling the chain for the light in the closet are a great challenge to overcome. Home modifications allow for fully functional independence. 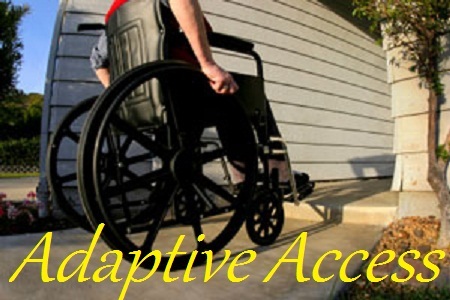 At Homewood Handyman, we know that every one of our customers have their own unique challenges, that's why we provide a comprehensive in-home evaluation for any inquires we receive about adaptive access. Rest assured, we provide a no-scam quote for cost of goods and labor, just give us a call or simply fill out the form to the right. Adjusting to a disability is tough and Homewood Handyman is here to help.